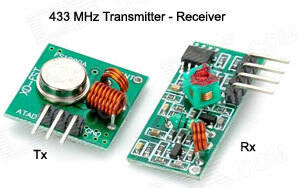 The handy low cost 433 MHz Transmitter and Receiver pair is now widely used in Arduino based circuits. But one of the serious problems with the Receiver is its inherent property of accepting lot of noise from the background. 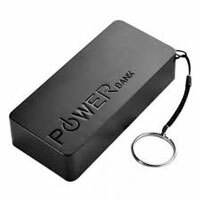 This gives erratic output data which causes error reading. If the output is connected to an audio amplifier, hissing sound appears in the speaker when the receiver is in standby without receiving the signals from the transmitter. So careful designing of the power supply and a Glitch removing circuit will considerably reduce the noise from the data out of Receiver (Rx). One simple way to protect circuits from over voltage is the use of a Shunt Regulator IC TL431 to switch off the load if the voltage increases above the preset level. In unregulated power supply, if the voltage in the primary of the step down transformer increases, a corresponding increase in voltage will appears in the secondary also. This may seriously affect the circuit, if it uses voltage sensitive semiconductors.TL431 is an adjustable precision Zener shut regulator and its output voltage can be set between 2.5 volts to 36 volts using a voltage divider. It can functions like a Zener diode but with precision.